Canon India continues to delight its customers with its comprehensive ‘Input to Output’ approach, offering an entire gamut of imaging solutions. Canon’s camera technology is designed to click and capture true-to-life emotions and experiences and likewise, its print technology converts and preserves those memories into beautiful, frame-worthy pictures. This festive season, the organisation has announced a ‘Print & Play’ offer, through which customers will get a Bluetooth Speaker free on purchase of its PIXMA G 2010 & PIXMA G 3010, two of its highest selling models in the inkjet category. The printers are aimed at making printing hassle free with features like wireless connectivity and integrated ink tank. This offer will be valid till the December 31, 2018. Along with the festive offer, the organization has also announced dedicated nationwide initiatives and activities to engage with customers during this season. “At Canon, we believe that joy is doubled when shared. Like every initiative, we would also like to extend the festivities to our communities. Our CSR activities will ensure that our adopted villages also enjoy the festivities in full spirit,” added Kobayashi. On its social media channels, the organization is running a campaign called #SpreadTheFestivity, encouraging users to multiply their celebrations, by spreading the joy of festivity and giving back to the community. Through an influencer engagement on its social platforms like Facebook, Twitter and Instagram, users are being encouraged to share their moments of spreading happiness to their near ones and the community at large, be it gifting your parents or donating food to the needy. The winners will be gratified in the second week of November. This activity is being organized as part of the organizations community driven initiative on digital media, called #ShiftYourFocus, wherein the social media users are encouraged to participate in issues that require their attention. In Northern part of the country, Canon has lined up photography workshops across select schools and colleges in cities like New Delhi, Dehradun, Haridwar and Jaipur, with an objective to reach out to maximum photography enthusiasts and further strengthen the photography culture in the country. The company would also be participating in the famous Rajasthan Photo Fair to be held in Jaipur to contribute towards encouraging aspiring photographers with the marvels of imaging. Alongside, roadshows have also been lined up in New Delhi, Jaipur and Noida, to exhibit Canon products to customers and enhance their understanding about imaging solutions. In Southern region of the country, Canon would be organizing dedicated EOS R workshops across Tier-II and III cities, encouraging participants to relive the joy of special moments by capturing them on Canon’s latest full frame mirror less innovation. A series of demonstrations on wheels activity is also planned in Tier-III and IV cities to showcase the entire consumer printer portfolio to remote cities. In Mysore, where Dussehra has an added significance as a festival, citizens witnessed exclusive Dussehra branding by Canon, further raising the spirit of festivities. In the Eastern end of the nation, with Durga Puja festivities being one of the main reasons for celebrations, Canon initiated a huge drive to increase brand visibility with an outdoor media campaign, targeting one of the biggest transit media in Kolkata. The company also participated in photo and video expos such as Phototech and Imagecraft to showcase the marvels of photography through the lens of Canon. In the Western region of the country, the imaging player will be organizing exclusive advanced and wedding photography workshops for photographers, along with organizing live demonstration sessions of full frame DSLR cameras for users at key Multi brand outlets in the region. 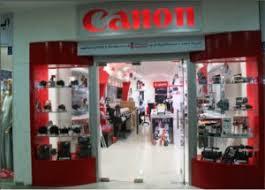 In addition to the offers and workshops, to further spread the ambience and joy of festivity, gate Arches will be deployed and decorated at select Canon Imaging Stores and Canon Authorized Reseller outlets across the country. They will be lit up with the festive mood, displaying creative and eccentric festive greetings by the organisation.